With the conference basketball tournaments in full swing, and the NCAA about to begin, hype about what teams will make it and which ones will stay home abounds. Not only do sport networks go into hyper-drive as “March Madness” begins, but the enthusiasm spreads to water cooler conversations, lunchroom TVs, frequent score checking on smart phones and computer screens, and office “pools” where real money can be made with a small entry fee. The schedule for the 68-team tournament is depicted in the form of a master bracket, with four regional brackets that produce winners through single elimination games who eventually play one another in the Final Four and, ultimately, the two team national championship game. (Sorry for the details, but they are pertinent to the business world as will be discussed below.) The projections as to which teams will make the tournament, and their “seeding” (#1-16 in each region, with a four team play-in “First Four”) has been described as the “bracketology” process. Prognosticators great and small try to anticipate who will be selected for the tournament, who will make the Final Four, etc. In the business world, companies develop marketing strategies that result in targeted prospects, hopeful “finalists,” and “winners.” It can be argued that the process of identifying prospects, analyzing the likelihood that they will matriculate through a given business development process, and ultimately become customers is strenuous in top sales organizations, yet chaotic in others. What type of approach does your organization take? 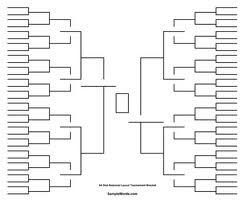 Hopefully, your bracketology will be more accurate than the NCAA prediction process!